JCB touts ground-engaging telehandlers that are engineered not just to lift but to utilize attachments at ground level and above such as buckets, brooms, blades and grapples. Many equipment users are leery of commitment. They can’t envision a long-term relationship with a beautiful piece of construction machinery (at least not today), yet they cannot deny their attraction and need for it. This is where rental companies come in, pairing tentative professionals with reliable mechanical partners. Telehandlers are a great example. Those dune buggy-looking vehicles are always attracting contractors on the rental lot, their multi-stage booms extended high in the air, brandishing different attachments on the end. Because telehandlers are not cheap and aerial work equipment in general is very rental-focused, manufacturers of small telehandlers acknowledge that compact two-stage boom telehandlers — which can lift 5,500 lbs 18 to 20 ft in the air — are built with the rental market in mind. Safety mechanisms doubly benefit a rental store — or a dealer who has a rental division — because they help protect their customers as well as their machinery. While novice operators can be checked out on the equipment and given a walk-through of a manual, training usually comes on the job. Having these backup systems reduces liability for everyone. So, how much will these versatile, safe and easy-to-operate telehandlers set back a day-user or longer-term user. A sampling of online prices suggests the compact machine will cost $300 to $350 a day, $900 to $1,100 a week and $2,000+ a month. “Rental rates can vary greatly between regions, but those prices probably are in the median range nationwide,” acknowledges Taylor. By comparison, if a renter of one of the machines is so taken by it that he or she wants to have one of their own, it will cost between $60,000 and $80,000. Unless the telehandler will be used every day, such a price range can cool commitment pretty quickly and make a person want to keep on renting. Having access to real-time load data gives operators added confidence on the jobsite. 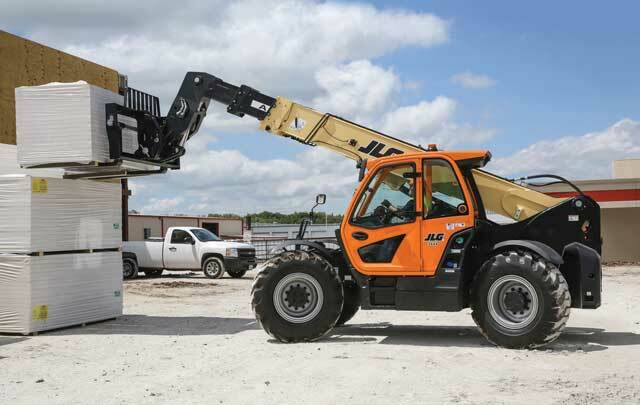 Currently available for its 1644 and 1732 high-capacity telehandlers, JLG SmartLoad Technology will be available as an option on all JLG telehandlers over the next 12 months. SmartLoad is an advanced bundle of three integrated technologies that work together to increase operator confidence and optimize productivity. This award-winning, industry-first system includes automatic attachment recognition, a load management information system and a load stability indicator. The automatic attachment recognition allows a telehandler to identify an attachment and display the appropriate load chart to the operator. The load management information system (LMIS) graphically depicts the location of the load within the load chart and assists the operator in navigating the boundaries of the chart. Finally, the load stability indicator (LSI) works in conjunction with the LMIS to limit operation when a load becomes non-compliant. For more info, visit jlg.com. Compact telehandlers, like other pieces of self-propelled construction equipment, rely on more than their brand name to advertise themselves to prospective shoppers. It is called nomenclature, the act of naming something, in this case a manufactured product. Telehandlers are given designations to separate one machine from a similar one in a manufacturer’s lineup. JCB changed the model names of some of its equipment to more clearly describe what a customer is getting. “In North America, we changed the designation of the 525-60 to the 505-20TC to make it easier for a U.S. customer to know the machine’s capacity just by looking at the name,” says Rebecca Yates, the company’s product manager for material handling. Equipment shoppers would be given an even larger break were manufacturers to adopt a common nomenclature. 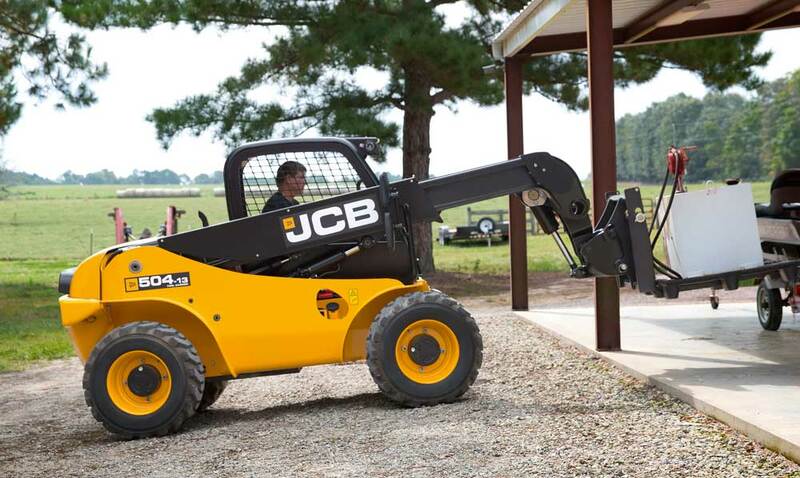 Were every telehandler with 5,000-lb capacity and a 20-ft lift designated a 5-20 and other sizes clearly spelled out in number — a 4-13, a 6-23 — shopping the equipment lot would be simpler. That, of course, is not likely to happen. So, we have Genie’s GTH-5519, which one can surmise stands for Genie TeleHandler, 5,500 lbs, 19 ft. 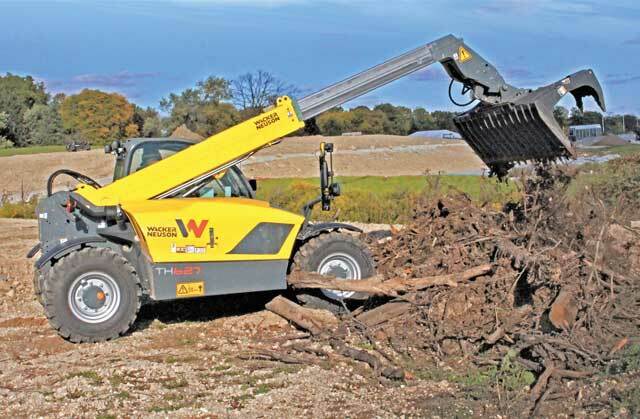 The Wacker Neuson nomenclature refers to the metric capacities of the machine, so a TH627 is 6 meters of lift height and 2.7 metric tons of total capacity. In the department of too-much-information-in-a-name (but still unclear) is a larger model telehandler produced by Manitou designated the MLT 961-145 V+ L. Oooookay. Can you handle more telehandlers? Click here!